On my trip to Melbourne, Australia earlier this month, I took advantage of the city’s wonderful art offerings. 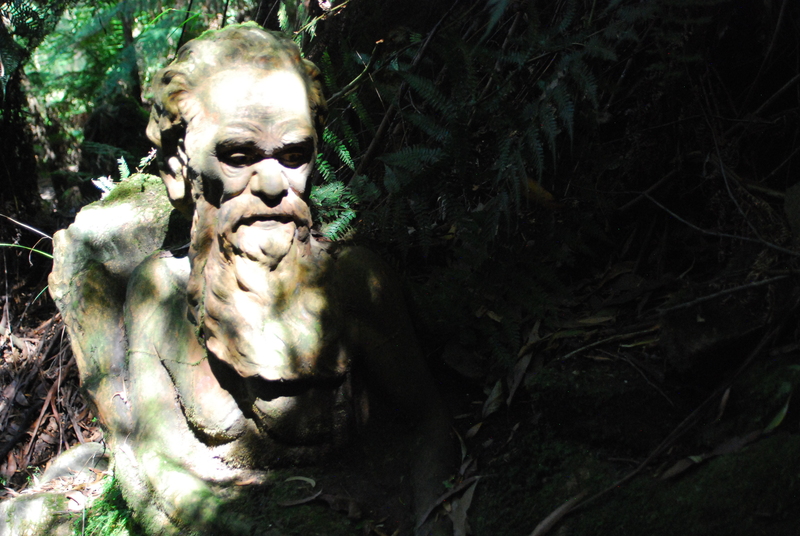 However, it wasn’t until I stumbled upon a little known artist sanctuary tucked away in the rainforest outside of Melbourne that I had a truly moving art experience. 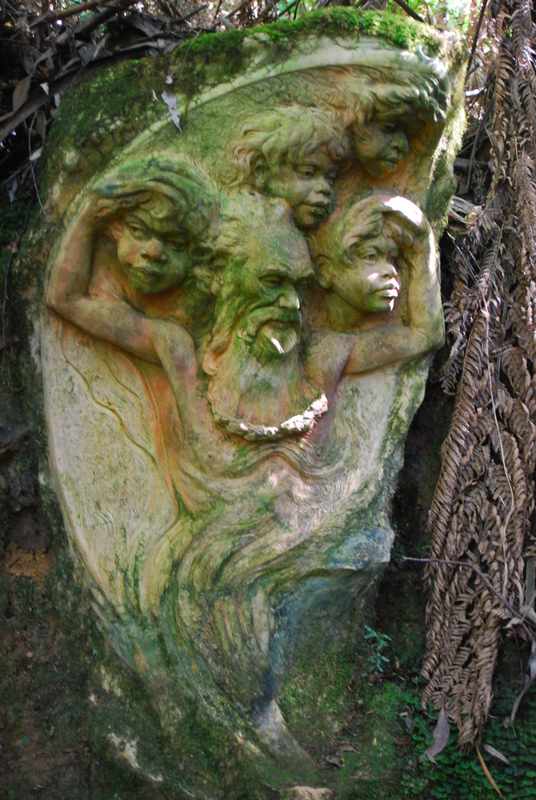 The William Ricketts Sanctuary pays homage to an exceptionally spiritual ceramic artist whose every living breath was dedicated to imparting his own awakening about the indivisible bond between “every atom” of every living creature and Man, God, and Mother Earth. 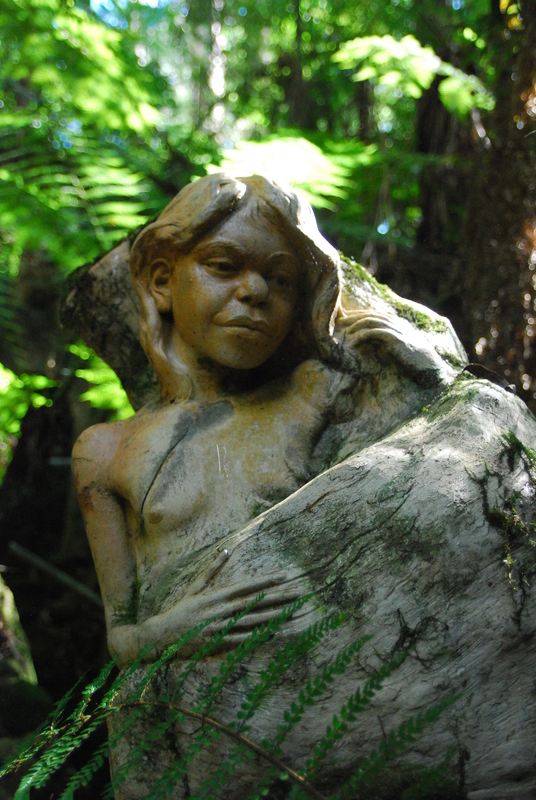 Inspired by his years of contact with native Aboriginal peoples, Australian artist William Ricketts’ clay sculptures and writings convey his unshakable belief in the oneness of Nature and the sanctity of the environment. He was an undisputed pioneer of the environmentalist movement. The documentary video which was playing in the visitors’ center portrayed an eccentric recluse, a man driven by his vision, barely able to contain his zeal. 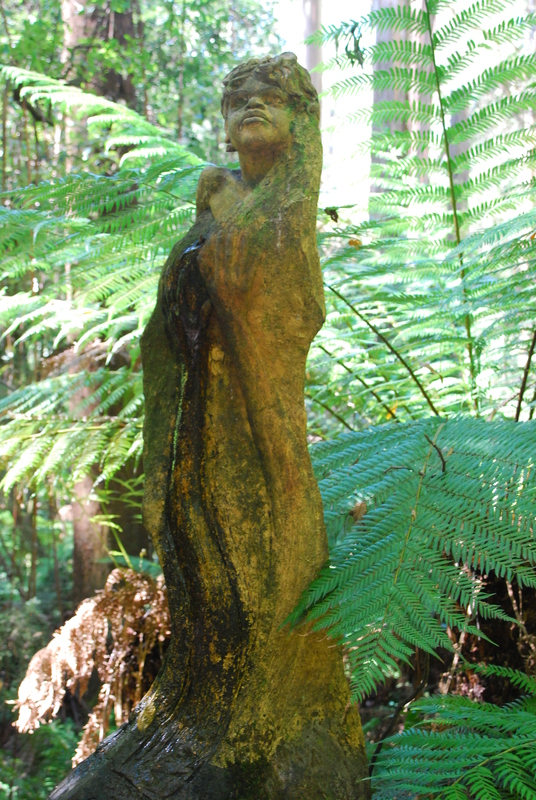 ” Why shouldn’t I use clay when my love was opened up to the earth and the clay to express the earth and all wild life…My spirit is the spirit of the land, the essence of God.” Ricketts seamlessly incorporated his clay sculptures into the natural environment, making them appear to sprout from the very rocks and trees he revered. Ricketts’ lifelong dedication to his work in the name of a Higher Calling and his visionary mission to protect the environment made me feel a teensy bit intimidated and somewhat of a lightweight. But when I returned home from my trip, a complimentary copy of Lark Crafts’ 500 Prints on Clay was waiting for me, with one of my works right there on page 236 (!) included in the top 500 contemporary international ceramic artists using print medium on clay. It was a reminder to me that every artist’s ultimate aspiration should be to follow his or her own path in the most truthful way possible. 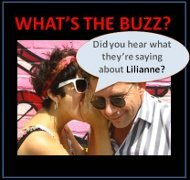 Photographs courtesy of the Alan Merbaum.